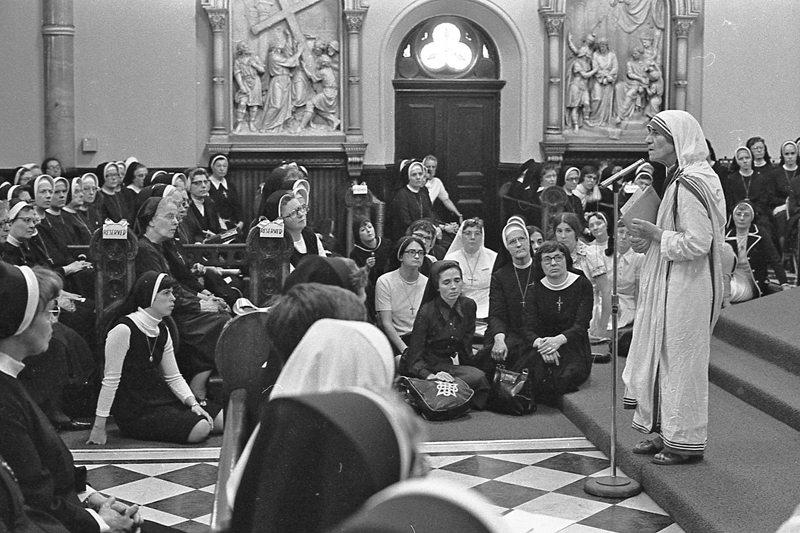 Mother Teresa speaks to to a large group of nuns in June 1976 at the former St. Elizabeth Church in North Philadelphia. When Pope Francis formally canonizes Mother Teresa of Calcutta as a saint on Sunday, Sept. 4 there will be pilgrims from all over the world in Rome for this long-anticipated ceremony. Among local delegates will be 22 members of now-St. Teresa of Calcutta Parish, Limerick, led by their pastor, Father Paul Brandt. From the very beginning, Father Brandt in his weekly parish letter would reflect on Scripture and also include a quote from Mother Teresa, because, “I always thought if the people were fed with her spirituality it would be a great asset,” he said. The parish will formally celebrate the canonization of its patron, St. Teresa, through a Mass celebrated on Sept. 11 by Bishop John McIntyre and with Father Shaun Mahoney, who worked with Mother Teresa in Calcutta, as the homilist. 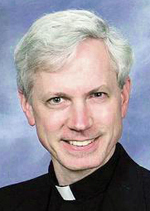 Father Mahoney, who is chaplain for the Temple University Newman Center, first encountered Mother Teresa before his seminary days. He was a volunteer with the Missionaries of Charity, the congregation Mother Teresa founded, and he lived and worked in India with the sisters in hospices for the sick they conducted in Calcutta and the surrounding area. 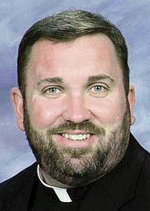 Mother Teresa visited several times, and for Father Mahoney it was a life-altering experience that definitely influenced his decision to enter the priesthood. Mother Teresa commemorates the opening in 1994 of the Missionaries of Charity convent at St. Patrick Church in Norristown. The first recorded visit of Mother Teresa to Philadelphia was a June 16, 1974 participation in a Pilgrimage of Hope Procession on the Benjamin Franklin Parkway. Two years later on the same date of the Bicentennial Year, she addressed 2,000 nuns at the former St. Elizabeth Church in North Philadelphia. Among those in the Philadelphia area with the longest association with Mother Teresa is Msgr. Arthur Rodgers, who in 1976 was chairman of the speakers’ committee for the 41st International Eucharistic Congress which was held in Philadelphia in July and August. He invited Mother Teresa and she accepted, and “I had the opportunity to introduce her to the crowd at Convention Hall,” he said. Anne Healy Ayella, Maureen McCullough and Sister Mary Scullion were all seniors at St. Joseph’s University working on peace and justice issues with Jesuit Father Ed Brady at the time of the Eucharistic Congress. The lives of all three were profoundly affected by the Congress. Today Ayella is with archdiocesan Nutritional Development Services, McCullough with Catholic Relief Services and Sister Mary with Project HOME. At that time Mother Teresa told Msgr. Rodgers she would be willing to come back to Philadelphia at a future date should he ask. Three years later, in June 1979, when he was academic dean at St. Charles Borromeo Seminary, with the permission of Cardinal John Krol he invited Mother Teresa to come to the seminary to receive an honorary degree. From there Mother Teresa was scheduled to speak in New York, but there was an oil embargo at the time and it was only through the Pennsylvania State Police that Msgr. Rodgers could get sufficient gasoline for her to be driven there. Before leaving he invited her to stay for dinner, but she declined, asking only for a banana. “She was so humble and you could see her only concern was for the poor, the sick and the dying,” Msgr. Rodgers said. 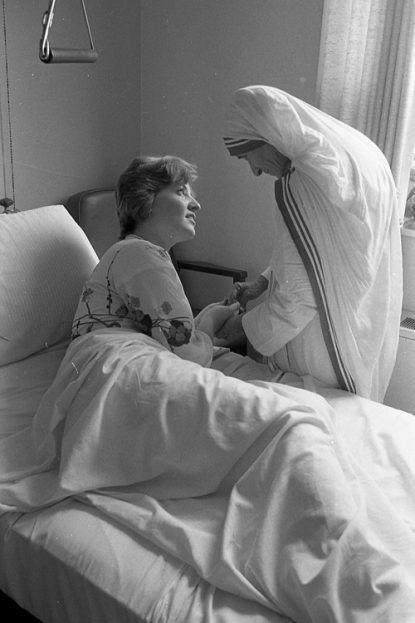 Eileen Potts speaks with Mother Teresa during her 1976 visit to Cherry Hill Medical Center in New Jersey. On Jan. 25, 1980, once more in Philadelphia, she was the guest of honor at the annual ball of the Catholic Philopatrian Literary Association. 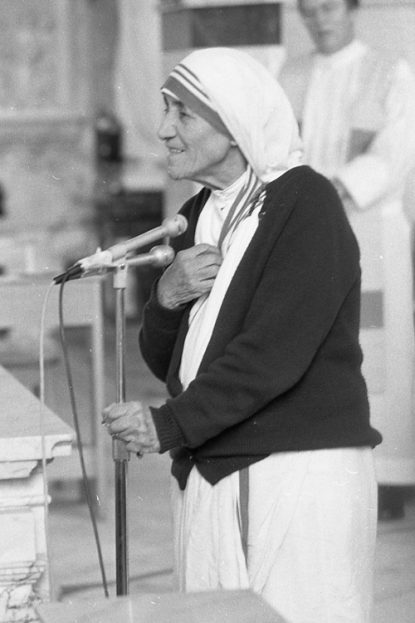 Two years later Mother Teresa would visit the area to establish outreach programs: the first was a shelter for women and soup kitchen in Norristown, opening in 1984; and Gift of Mary Home in Chester, originally as a hospice for women with AIDS and their children, opening in 1992. Both programs are still in existence. “This is a glorious day and we have been waiting for it,” said Sister Wini Marie, the superior in Chester. “We are still doing what she called us to do, to serve,” she said. At the Missionaries of Charity convent in Norristown, Sister Lia Ann, the superior, had the same sentiment. “We serve meals to 45-50 homeless women every day, and some come in for the night,” she said. Diane Hudson Harris traces her memories of Mother Teresa back to 1974 and the Pilgrimage of Hope. At the time she was working with Msgr. Charles Devlin at the Cardinal’s Commission for Human Relations, overseeing the Emergency Feeding Program. She was asked to pick up Mother Teresa at 30th Street Station, which she did, even though it was her day off. It was the start of a long friendship; whenever Mother Teresa was in town, often as not Hudson Harris was her driver. She visited Mother Teresa in Calcutta, became an associate for the sisters and would meet with her over the years at stops around the country. Although Hudson Harris wasn’t Catholic at the time she eventually became one, and she credits this in part through the prayers of Mother Teresa. 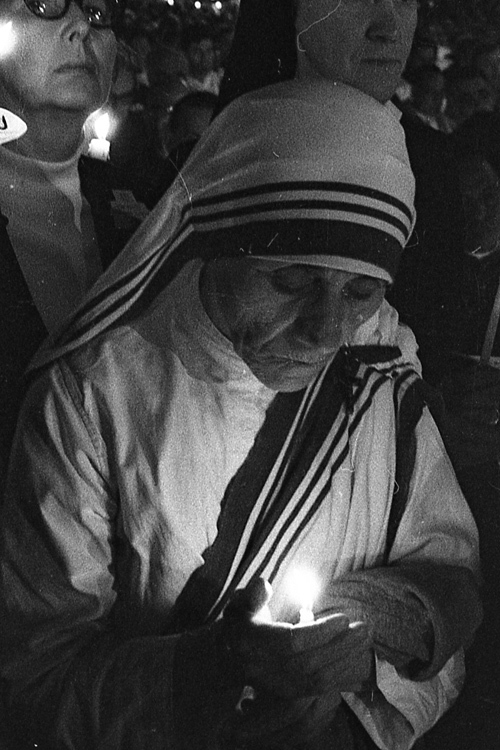 She recalls how on one occasion Mother Teresa, who lived her vow of poverty, had a hole in her gray sweater and Hudson Harris mended it for her. She said her little daughter Monica also loved the future saint. Father Chris Walsh’s encounters with Mother Teresa, who died in 1997, were in the twilight years of her life. During his seminary years at St. Charles he volunteered from 1994 to 1996 at a summer camp conducted by the Missionaries of Charity in the South Bronx, where she would visit and also he would see her during her Philadelphia visits. Mother Teresa asked him that when he became a priest to always remember her whenever he poured the water into the chalice. 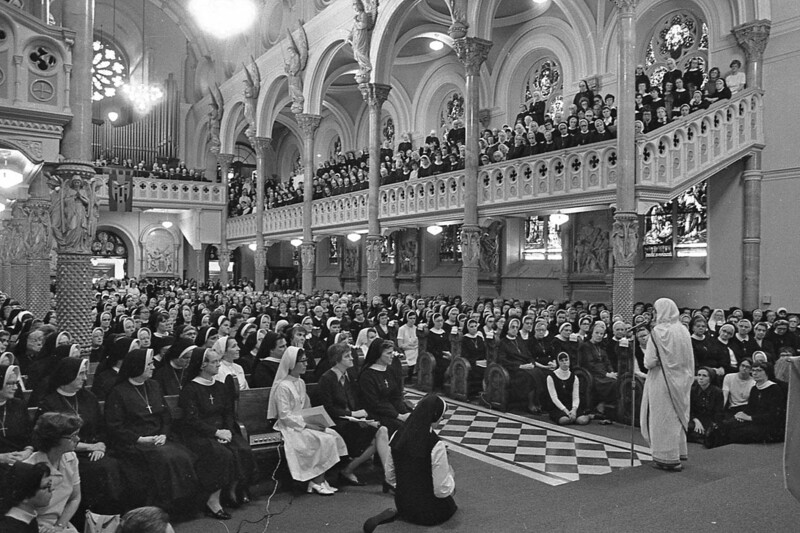 Religious sisters and parishioners pack the former St. Elizabeth Church in North Philadelphia in 1976 to listen to a talk by Mother Teresa.